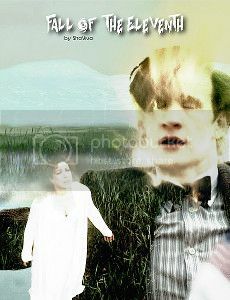 The Doctor has been running his whole life … from the fields of Trenzalore and from the Fall of the Eleventh. The motives of The Silence were clear … his death at any cost. When others emerge with different goals the Doctor discovers that what he should have considered is this. Who wants him to go to Trenzalore, and why? Spoilers for: Minor spoilers for everything Eleventh Doctor/River related, particularly The Angels Take Manhattan, The Wedding of River Song, Doctor Who: P.S. (by Chris Chibnall), and Night and the Doctor: First Night/Last Night. Spoilers for Silence in the Library/Forest of the Dead too. Minor spoilers for The End of the World Pt1/2. Acknowledgements: to wikipedia and the Doctor Who wiki in particular where I always found something interesting when I needed it. This is particularly true when researching events and characters linked to Gallifrey. If you see something familiar from old Doctor Who, that's where I found it. There was a discussion, I can't recall exactly where now, about the true identity of the Doctor which spawned some of the basic ideas in this story enough that I'd like to give credit. Disclaimer: I am unfortunately not associated in any way with the creators, owners, or producers of Doctor Who or any of its media franchises! All publicly recognizable characters, settings, equipment, etc are the property of whoever owns them. Any original characters, plot, settings, and anything else I made up are the property of me, the author. No copyright infringement is intended. Written purely for the love of Doctor Who. Story Status: 25 chapters, approx 53,000 words, COMPLETE.